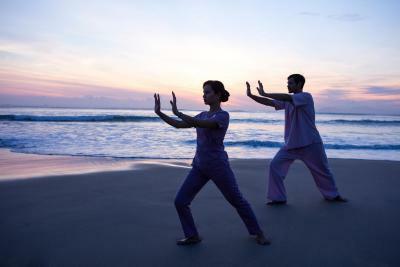 Lock in a great price for Naman Retreat – rated 8.6 by recent guests! The design, the staff, the beach, the pools. It was a proper holiday location. Everything was perfect from the moment we walked in until the time we left. The breakfast was amazing at B Lounge. 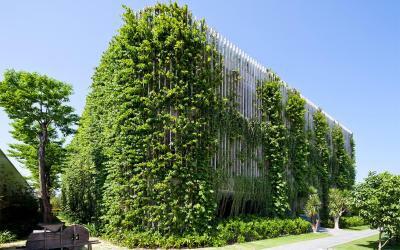 The room was very clean and spacious with a beautiful balcony full of green plants. You also get a personally ambassador for your stay to answer any questions. Mine was a bit flaky though. She’d answer some questions but ignore others. I would like to commend Loc who was at B Lounge most mornings. She is always full of energy with the biggest smile on her face and always remembered our names. All the employees were great, however I just wanted to give her a shout-out because she really stood out. Great food! Attentive staff. Romantic ambience. 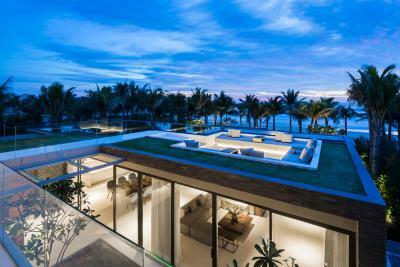 Absolutely stunning property, infinity pool and beach. Very impressed! We specially asked for a quiet room and they made sure we received it. Even though it was the busy Christmas season, we had the one room villa with private pool - and it was perfect. Felt like our own little haven. Highly recommended. My wife was sick ( food) but they went the extra mile to help her including an wonderful nurse on site. Beautiful rooms, great service ! Fantastic spacious and comfortable room; peaceful, great bed. Located at the beach. 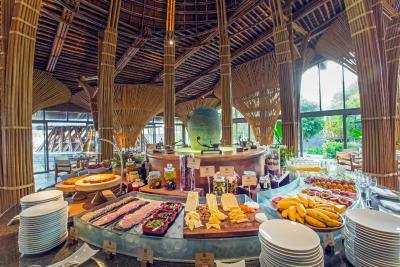 The breakfast buffet is awesome and with lots of choice. We had our own little pool so did not even really use the main infinity pool though that one looks awesome too. Staff is very service oriented and friendly. The design of the whole complex is unique and awesome. We also liked the levelnof privacy. Beautiful property, and wonderfully warm service staff who attended to our every need. Food was good, if overpriced. 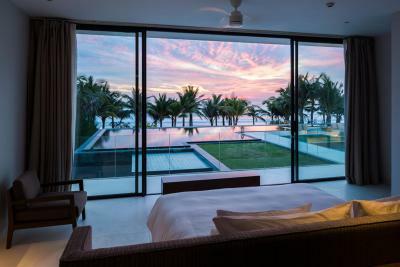 But the best part was the lodging--the new 3BR Beachfront Villas are the very definition of exquisite luxury. Expensive for Vietnam, but not for any other place in the world. Truly extraordinary, and so good we'll probably be back. Preferably after they finish construction. 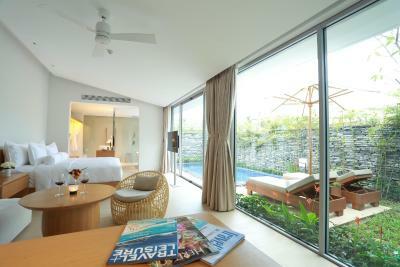 Naman Retreat This rating is a reflection of how the property compares to the industry standard when it comes to price, facilities and services available. It's based on a self-evaluation by the property. Use this rating to help choose your stay! 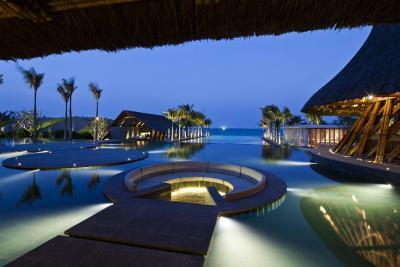 One of our top picks in Danang.Only 1,650 feet from the popular Montgomerie Links, Naman Retreat welcomes guests with an outdoor swimming pool and a private beach area. Rooms are luxuriously furnished and fitted with free WiFi access. 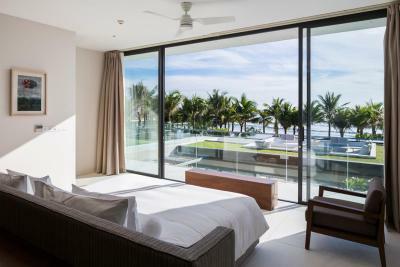 The peaceful getaway is located in Da Nang only 2.6 mi from Non Nuoc Hamlet and Non Nuoc Beach. The majestic Ngu Hanh Son Mountain is about 3.1 mi away while Phu Bai Airport is located 49 mi away. 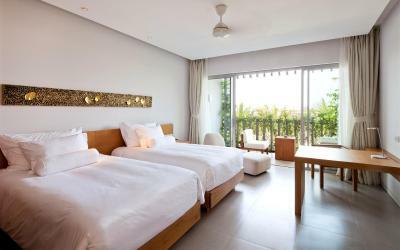 Naman Retreat offers spacious rooms and villas. Each is fitted with air conditioning and a flat-screen TV. Some villas feature a separate living area and a private pool. 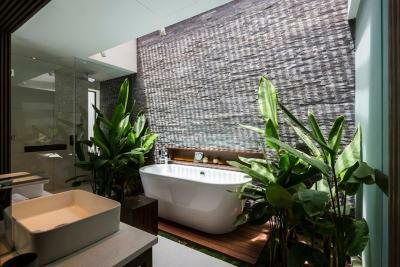 Elegant private bathrooms feature a bathtub and plush bathrobes. Guests can enjoy rejuvenating spa treatments at the spa and sauna facility. Other amenities include a fitness center, barbecue facilities and an outdoor terrace. Friendly English-speaking staff at the 24-hour front desk can arrange for airport transfers and shuttle services. An array of local and international cuisines will be served Naman Retreat Restaurant. In-room dining options are possible. When would you like to stay at Naman Retreat? 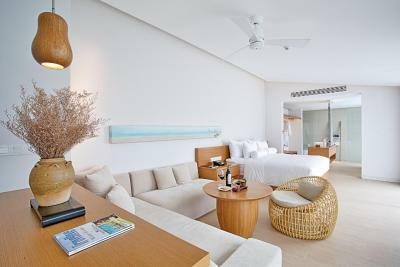 Spacious elegantly furnished room features air conditioning, a flat-screen TV and seating area. 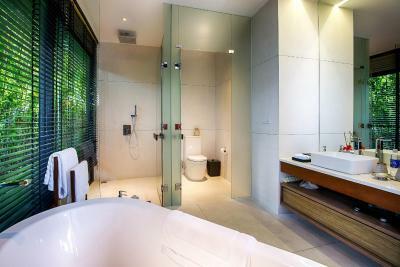 Modern private bathroom is fitted with a hairdryer, heated showers and plush bathrobes. This room's maximum occupancy is 2 adults and 1 child up to 6 years old (using existing beds). Room cannot accommodate any extra beds. Generously-sized, this luxurious villa features a private plunge pool and courtyard garden. Featuring air conditioning, it includes a separate living area with sofa and a modern private bathroom, equipped with a hairdryer, heated showers and a bathtub. 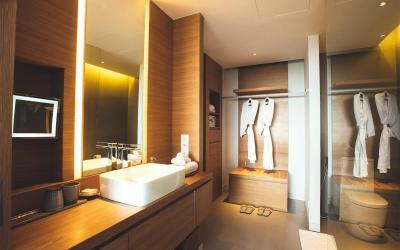 Plush bathrobes and free toiletries are available. Generously-sized, this luxurious two-story villa features a private plunge pool, 2 bedrooms and a separate living area with sofa. Featuring air conditioning, it includes a modern private bathroom, equipped with a hairdryer, heated showers, a bathtub and plush bathrobes. This villa's maximum occupancy is 4 adults and 1 child OR 5 adults. 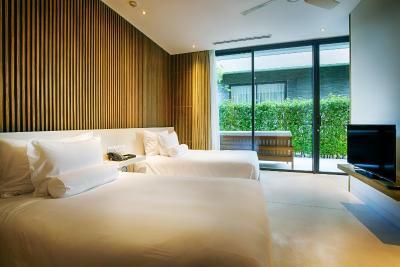 Villa can accommodate up to 01 extra bed. 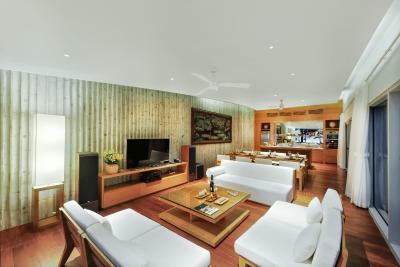 A very spacious and luxurious three-bedroom villa boasting a private pool. Features air conditioning, a separate living area with a sofa and a modern private bathroom with a hairdryer, heated showers, a bathtub and plush bathrobes. Children and additional adults are subject to surcharge. 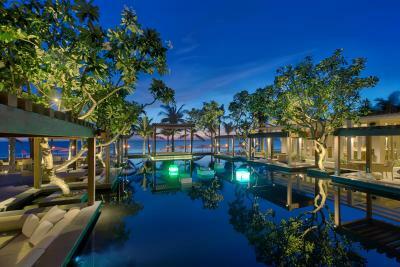 A very spacious and luxurious three-bedroom villa features a private pool. Features air conditioning, a separate living area with a sofa and a modern private bathroom with a hairdryer, heated showers, a bathtub and plush bathrobes. House Rules Naman Retreat takes special requests – add in the next step! One child under 12 years is charged VND 16 per night when using existing beds. All children under 16 years are charged VND 58 per night for extra beds. Any additional older children or adults are charged VND 115.50 per night for extra beds. Naman Retreat accepts these cards and reserves the right to temporarily hold an amount prior to arrival. Please ensure the name on your credit card must match the name on your photo identification and the reservation. Otherwise, the property reserves the right to cancel and reject your booking. Kindly present the same credit card used to guarantee your booking when checking in / making payment at the hotel. Room service is not good, hotel housekeeper come to clean the private pool without my permission when i was still here. Booking the massages really in advance if you want to be sure to have a good slot. Great villas with full comfort. Helpful staff. Great breakfast & services in general. The beach is clean and nice but we didn’t dare to swim because of the many waves. Shuttle from / to the airport. Site is looking old and not very well maintained. Cushions in common areas without covers, broken outdoor furniture and in some cases rusty. Wonderful staff from arrival greeted by Mr Binh who was very helpful and friendly. Engaged with many staff and found them to be interested in ensuring the guests comfort. Beach is nice but next to construction site on both sides, which takes away a little bit. Great food, beautiful views of the sea and the service was brilliant. The complex is designed very well and the complimentary massages was a really cool touch. Walk 5 meter outside of the beach area round the hotel grounds in either direction and it was like a rubbish tip. Food was very average, not 5 stars. Hotel suite and spa were fab and staff were super friendly and efficient. Overall, The staffs seem unprofessional and the food wasnt that great. Everything was great, my 3rd stay in the hotel and as usual excellent ! too overpriced during TET. The facilities were not in good maintenance. We end up not using the pool in the room since too many bamboo leaves in the pool. The architecture in the main court.